This Arts & Crafts lateral filing cabinet comes with a beautiful hutch top with solid wood doors. The filing cabinet drawers have full extension drawer slides for ease of getting in and out of your files. 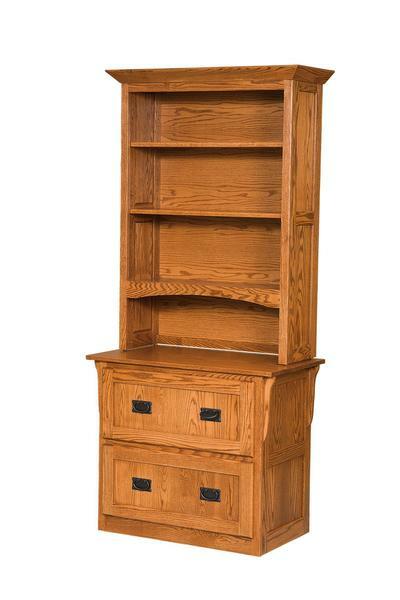 The Mission style Bookcase Top offers plenty of space for your catalogs, books and reference materials. Please call to speak to one of our Amish furniture specialists with questions or ordering assistance on our office furniture. Call toll free at 1-866-272-6773.